1. Why did you choose to study at KU Law? How did you learn about our program and establish contact? KU offers world-class education and enjoys a strong international reputation. It welcomes students and scholars like me from all over the world to pursue their goals. And I learned and believe that KU Law will provide me with a supportive and quality academic environment for conducting legal research. I learned about the program on the KU Law website while I was applying for the Visiting Students Program funded by the China Scholarship Council (CSC). As a Chinese Ph.D. candidate with a great interest in Water Law, I was so lucky to find and read Prof. John Peck’s profile on the KU Law website. I learned that he is a Water Law expert with abundant academic knowledge and practical experience. I emailed him to explore the possibility of being a visiting student, conducting my research under his guidance. 2. What are your professional goals for your time at KU Law? What will be your next career step after your time here? 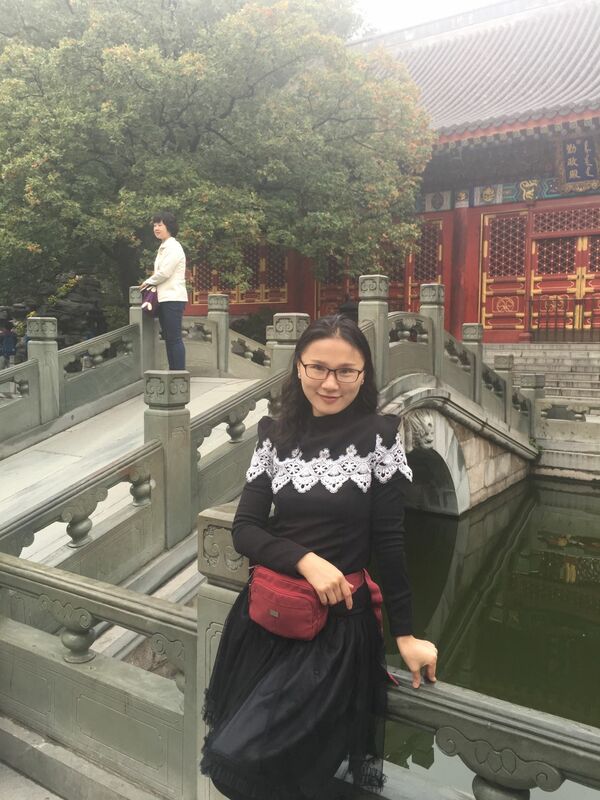 My professional goals at KU Law include studying American law, conducting Sino-U.S. comparative legal research in the specific area of ecological compensation in inter-basin water transferring, and preparing my doctoral dissertation on Environmental Law from a Marxist perspective. I hope to earn my doctoral degree and obtain a faculty position in China after my time here. 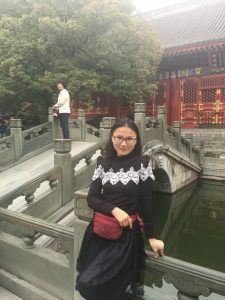 I believe my experience at KU Law will enable me to conduct comparative legal research and analysis between Sino law and American law and introduce the latest legal developments in U.S. Water Law to China, which will definitely play an important role in the pursuit of my legal and academic career. 3. How does the academic and research environment at KU Law differ from your home culture / institution? At KU Law, teachers are always encouraging students to make comments or ask questions about the content of the lesson. Students here are very self-confident, always willing and positive to express their opinions and thoughts. Teachers here care about every student in their classes including the auditing ones. They guide students in terms of forming an effective learning style, doing plenty of readings before the class, absorbing knowledge and solving problems during the class, and continuing further research work after class. I appreciate the wonderful presentations given by the students in some classes. The Wheat Law Library provides abundant research resources as well as comfortable conditions. Areas for cooperative work, discussion, and quiet, independent work are well designed. All the faculty here are gentle or graceful, always ready to give a hand and solve the problem with high efficiency. 4. What are your favorite things about Lawrence? What about home do you miss the most? Lawrence is a wonderful place. I enjoy its quietness and peace very much. Blue skies and white clouds can easily be seen. The air is fresh and clean, though a little bit dry. The weather here is totally different from my hometown of Wuhan, but quite similar to Beijing where my families live. Most people I meet in Lawrence are fairly friendly, warm-hearted and willing to help. I am deeply impressed with their politeness and consideration of others. I have been in Lawrence for no more than two months, so I guess there must be lots of things for me to explore and experience here. I believe I could find more and more favorite things about Lawrence. As I am alone here, the toughest thing for me to conquer is separation from my family, relatives and friends in my homeland. I miss my parents and siblings in Wuhan a lot. Who I miss most are my adorable 2-year-old baby girl and hardworking husband in Beijing. I feel sorry or even guilty leaving them so far away, especially when she or he gets sick. 5. What advice would you offer to other scholars who may want to do research abroad? As far as I am concerned, if you decide to do research abroad, you’d better get yourself ready in terms of foreign language, research proposal and so on. With regard to the foreign language, it is the basic requirement of doing research in a foreign country. First, you have to gain the foreign language skills in listening, reading, writing, speaking and translating. Second, you should set a particular academic goal and make a detailed research proposal during your time abroad. With the goal, you could overcome the difficulties with your will and mind. You would be able to carry out your work step by step according to the plan without disturbance and confusion. Third, find a university and a school which could provide you with an excellent academic environment and resources, with professors capable of offering you wisdom, knowledge and support, and with other helpful faculty members. Last but not least, even though your time and energy abroad are rather limited, it’s necessary and helpful to audit some classes not just to learn, but also to experience the foreign language teaching and learning style. –Xiu “Monica” Huang is a Ph.D. scholar at Huazhong University of Science & Technology. 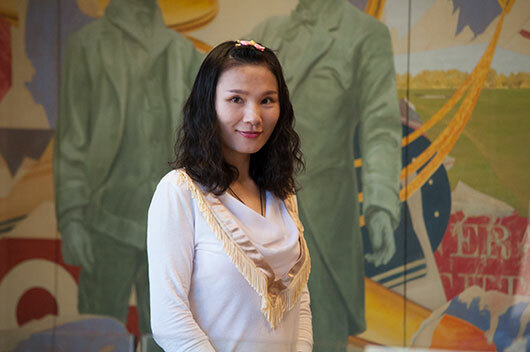 While at KU, she is conducting research on the legalities of water allocation and usage in China.